The hotel features spacious rooms designed for comfort and relaxation, whether they are single, double, triple and double. 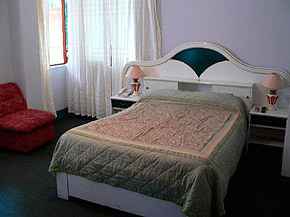 Our rooms are carpeted with private bath, TV, telephone, hot and cold water 24 hours. We have 30 rooms with different accommodations. 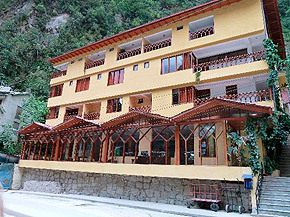 As these single, double, double and triple and a large restaurant with a capacity of 100 persons comfortably seated. Our reception staff is available 24 hours to welcome and assist in any requests to make your stay expires in comfort. All rooms have private bathrooms and are equipped with orthopedic mattresses super hotel.